Senior BJP leader and former national executive body member of the saffron party, Partha Sarathi Chanda on Friday appealed to party’s central leadership to take careful steps while pursuing the Citizenship (Amendment) Bill 2016 in the wake of the protests against the Bill across Northeast . He also called upon the ethnic communities living in Northeast to understand the ‘pain, suffering and religious persecution’ the Bengali Hindus are going through in Bangladesh. Chanda said that he supports the Bill but the government needs to take careful steps as the Bill has already created furore in the region. “I believe that there is no clash of interests between the Bengali Hindus and the Assamese people with the Bill. 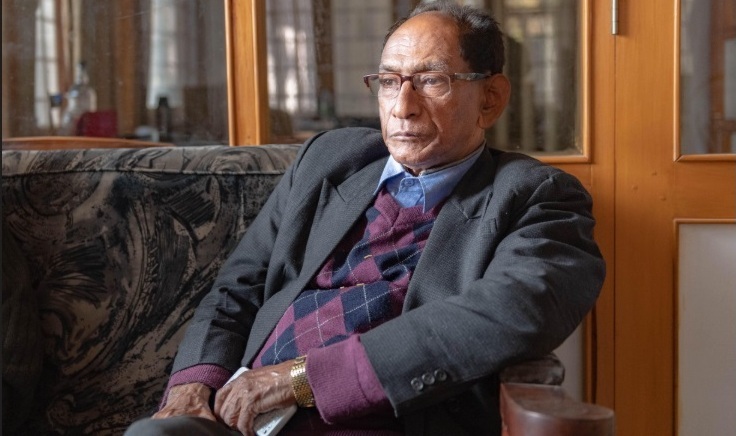 I support the Bill but at the same time the sentiments of the Assamese people must be respected,” Chanda, an educationist and former principal of the GC College in Silchar, told Northeast Now. “The Bill has an all India perspective which was taken into consideration. But the situation in Northeast is not similar and steps should be taken carefully so that anti-Indian forces cannot take advantage of the situation,” he said. “Nothing should be done even remotely to disturb the spirit of harmony in the Northeast,” the senior party leader added. “During the partition, out of the total population of East Pakistan, 29 percent was Hindus and Buddhists. However, after 70 years, the population of Hindus and Buddhists in Bangladesh has come to only 9 percent. Where have these people gone?” he said adding that a large population of Hindus in Bangladesh have already lost their political, religious and cultural rights. “A big country like India must be extra careful in safeguarding the linguistic and cultural identity and the interests of ethnic groups living in different states,”he said adding that Assam should not be asked to bear the burden alone. He said that the party will fare well in the forthcoming Lok Sabha polls. “Despite opposition to the Citizenship (Amendment) Bill 2016, the people of Assam have faith on BJP particularly on the leadership of Chief Minister Sarbananda Sonowal and Himanta Biswa Sarma. The recent election in the Dima Hasao is an indication to it,” he added.